On this year, PHP Matsuri had convened of 3rd time around. The participant who first timer and the repeater are split 50:50. It become common composition of the participant in the event of 100 person scale. 1. Repeater brings the friend of the first participation. I think that PHP Matsuri has become a annual event at late autumn. As the PHP Matsuri staff, this maybe first post. So I stop it only in an easy summary. To be continues and the details are posted by DANCHO. It had been offered by many sponsors from the enterprise to the individual. As a result, a very gorgeous prize was able to be prepared. And, it became a very happy event. The 1st time and the 2nd times were the same hotel groups. It is easy to have done arrangements and the preparation about the hall. However, this year of the third times was a hall of “Fukuoka Prefecture Ruby and contents industry promotion center” that a public organization manages . (The hotel prepared it until last year. )Because the task had increased, the staff became busy. However, the registration fee became low price, and the prize of LT became gorgeous. 1. The wifi doesn’t disconnect. We think that we solved the problem of the network because we have controlled the connection with 3 access point. There were some comments that it was cold, too. However, I think the improvement to have been done since last year (Because the hall is too wide and air-conditioning was not effective). 3. Neither the conference nor the workshop get entangled. it became a concentrating workshop by using another conference room. These are important thing in the event. I think that I was able to do this this year. 2. It doesn’t become loneliness. If first timer that there was not a friend either, then I think that they were able to exchange it at the ice break and break-time. 4. Wanna become repeater. I think this to be feelings that each one was able to take home. The demonstration was not complete. 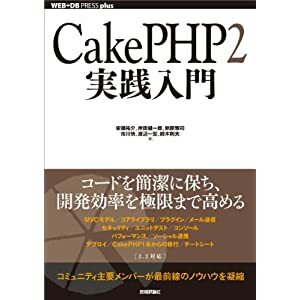 When the sample application program became runnable a little more well, I want to announce in Blog or the PHP study meet up. See you PHP Matsuri 2013 (maybe HOKKAIDO) !! it "returns 0 for all gutter game"